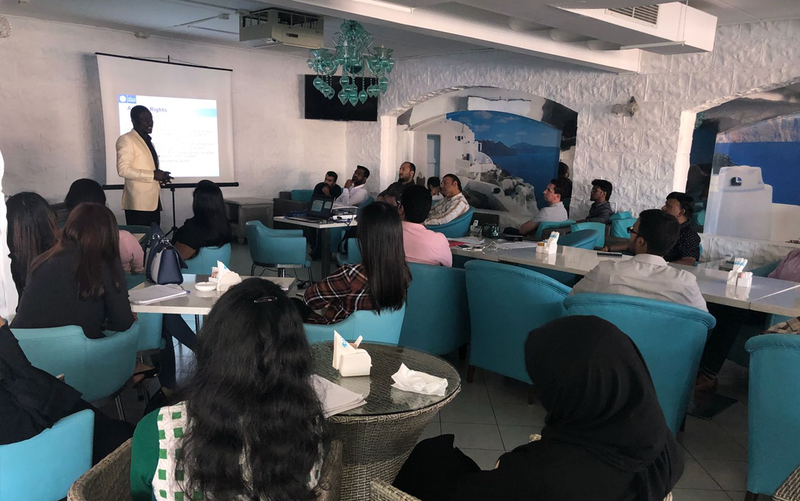 SADAD Bahrain, the Kingdom’s most trusted payment channel, recently organised an information security and risk management training session for over 60 of its employees. The initiative in line with the company’s commitment to creating awareness, educating staff, protecting assets and providing customers with fully secure innovative payment channels and services. SADAD is determined to remain on top of the Payment System Industry, not only in Bahrain but also across the entire Gulf region. The company’s recent acquirement of the PCI-DSS certification exemplifies endeavours towards that end, effectively placing SADAD on the same classification table with globally trusted corporations in the Fintech Industry. In order to maintain the highest possible standards of security, SADAD frequently organises relevant training sessions for all its employee. This season’s training was held under the title: “Aligning Information Security & Risk Management with Enterprise Strategic Visions, Goals and Objectives”. This highlights the company’s focus on the achievement of corporate development, inevitably linked to excellence in safeguarding consumers’ payment transactions. SADAD invests in encouraging the growth of its staff’s skills and potential, which goes hand in hand with advancing the company’s operations in the region through fortification of security measures that put customers at ease, protecting them against fraud and misuse of their personal information. Established in 2010, SADAD Bahrain became known as the one stop payment channel, offering customers an easy and user-friendly interface fully integrated with top entities across the Kingdom of Bahrain, providing customers with convenient payment methods.